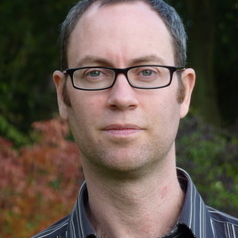 Geoff Baker is Professor of Music and Director of the Institute of Musical Research. He joined the music department as a Lecturer in 2005, having previously served here as a Leverhulme Research Fellow. He studied modern languages at Oxford University and early music performance at the Utrecht Conservatorium and the Royal Academy of Music. Having gained experience as a performer of Renaissance and Baroque music, he went on to complete a PhD at Royal Holloway under the supervision of Dr Tess Knighton. He specialises in music in Latin America, and he has published extensively on colonial Peru. His book Imposing Harmony: Music and Society in Colonial Cuzco (Duke University Press, 2008) won the American Musicological Society’s Robert Stevenson Award in 2010. He co-edited Music and Urban Society in Colonial Latin America (Cambridge University Press, 2011) with Tess Knighton, and he has contributed essays to several journals and collected volumes. Geoff also works on Latin American popular music, and he has a particular interest in contemporary urban music, above all in Cuba. He has published a number of essays on rap and reggaetón in Havana, and his book Buena Vista in the Club: Rap, Reggaetón, and Revolution in Havana (Duke University Press, 2011) was published in the series Refiguring American Music. More recently, his research focused on childhood musical learning and music education in Cuba and Venezuela. He was co-investigator on the three-year project “Growing into Music,” funded through the AHRC’s Beyond Text scheme, and made a series of documentaries and short films about young musicians in Cuba and Venezuela. This project culminated in festivals in Bamako (Mali) and Havana in early 2012. All the films may be viewed in HD at www.growingintomusic.co.uk. He also held a British Academy Research Development Award in 2010-11 and undertook fieldwork in Venezuela on the country’s famous orchestral music education program, El Sistema. This research project culminated with El Sistema: Orchestrating Venezuela's Youth (OUP, 2014). He writes about El Sistema at https://tocarypensar.com. From 2011-13 he worked on a group project entitled “Music, Digitization, Mediation: Towards Interdisciplinary Music Studies.” This research programme, based at the Faculty of Music at Oxford University and led by Professor Georgina Born, examined the changes to music and musical practices afforded by digitization and digital media. He focused on the digital cumbia and folklore scene in Buenos Aires, in particular the label ZZK Records. Two essays based on this work appeared in 2015, and further publications are forthcoming in 2016.